1. 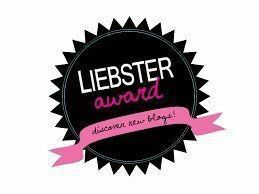 Thank the person who nominated you, and post a link to their blog in your post. 3. Answer questions about yourself, which will be provided to you by the person who nominated you. A: I haven't a clue. A: I usually get inspiration from other blogs or sites that peak my interests. A: From 6th to 8th grade, I played the saxophone. 4. Do you have a special talent or two? A: I'm pretty good at making jewelry. 6. What parts of the world would you like to visit? A: Hmm, don't know. Canada maybe. 7. What is your favorite song at the moment? A: This cover of the Goth Kids Song from South Park. 8. What qualities do you look for in people? A: Kindness, a weird factor, good sense of humor and open-mindedness. 9. What do you like to do when the power is out? A: Play a card game or color. 10. What are your favorite flowers? 11. Is there anything you'd like to change about yourself? If yes, what? 2. I have seasonal allergies. 3. Candy corn, peeps, andes and swedish fish are my favorite kinds of candy. 4. My favorite dessert is cheesecake topped with strawberries. 5. I have a hard time socializing with other people. 6. My all-time favorite show is Daria. 8. I sometimes eat breakfast food for dinner. 9. I like to binge-watch videos on youtube. 10. I'm a night owl. 11. Sometimes, I can be a bit nitpicky about certain things. 1. What is the name of your favorite band? 5. Do you have any tattoos or piercings? 6. What's your favorite article of clothing to wear? 8. What's your favorite movie quote? 10. Who would win in a fight? Emily the Strange or Dr. Strange? Haha that's a great cover of the South Park song. Thanks for nominating me! It is! I've lost count of how many times I've listened to it. Thanks for nominating for nominating me. Awesome, thanks for participating! It was nice to get to know you better.